Looking for some fun fall activities to do with your family? 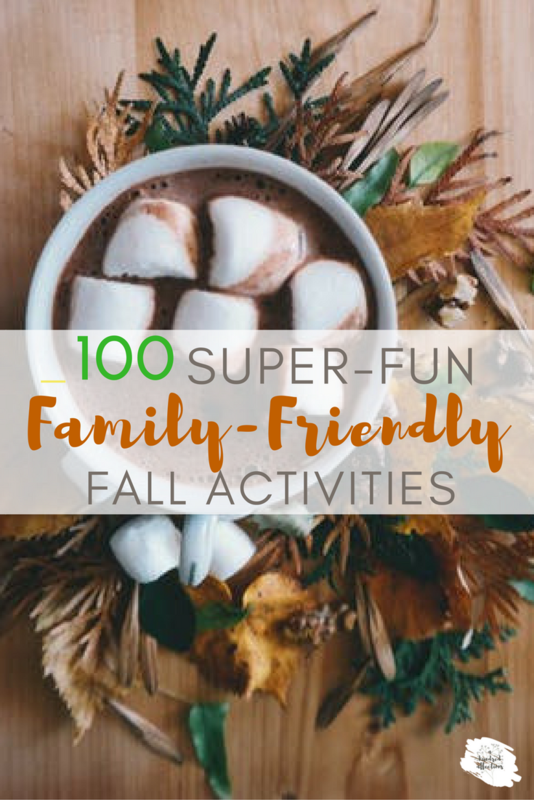 Check out this list of 100 Super-Fun Family-Friendly Fall Activities! Free Printable included! I created this list when I was doing All Things Fall a few weeks ago and offered it as an add-on to the posts during the week. However, I realized I never put it out here for anyone else just wanted to do some fun fall stuff with the family! Fall is such a fun season to be outdoors! I never realized it all the years I was teaching! I sort of dreaded the fall because it was back to work. 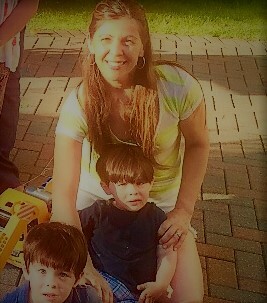 Now that I’m home with the littles, I LOVE fall! The weather is so great, and it’s just such a homey, cozy family time! 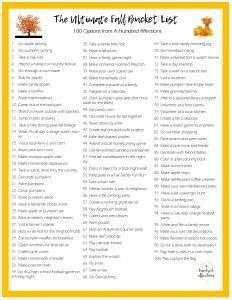 Here are 100 ideas for you and your family to try this fall! Be sure to grab the printable below so you can check them off as you go! Let me know which ones you try! I’d love to hear! We are going apple-picking this weekend! 🙂 Yahoo! Grab the Free Printable below! Enter your email address and you will be immediately directed to the download link! I love Fall! I'm excited to see if my family can complete all 100 things before Winter. Thank you for the great ideas! I'm so glad! I can't wait to do them as well! (I had a problem with the link this morning. If you didn't get the printable, please try again! Once you enter your email address, it should redirect you immediately! :) Sorry for any inconvenience! Just went on a bike ride today with my son. I love feeling the wind. Fall is perfect for riding. I'm so happy to finally escape the summer heat. So many great ideas I didn't think of before! I love posts like these! 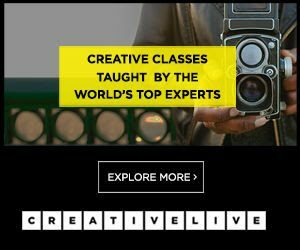 so many great ideas and fun for all ages! I was in Tanzania about 20 years ago - we flew into Kenya and did a safari there as well! Beautiful country - but yes, I remember - rainy and dry season. Thank you for coming by!